Ten readers love this post. The first batch of the 2019 Booker’s collection is now available nationwide. The new release, Booker’s Bourbon 2019-01 “Teresa’s Batch,” is named in honor of longtime Jim Beam distillery employee Teresa Wittemer, who Booker Noe hired more than 30 years ago, a news release says. Wittemer worked in the lab and in the quality control department, where she became an expert on mingling bourbon barrel samples to the taste profile Booker preferred. She helped Booker and his son Fred — seventh-generation master distiller — select batches of Booker’s Bourbon that live up to the standards of its founder’s name. As always, Booker’s is unfiltered and uncut. This batch is more than six years old and 125.9 proof. 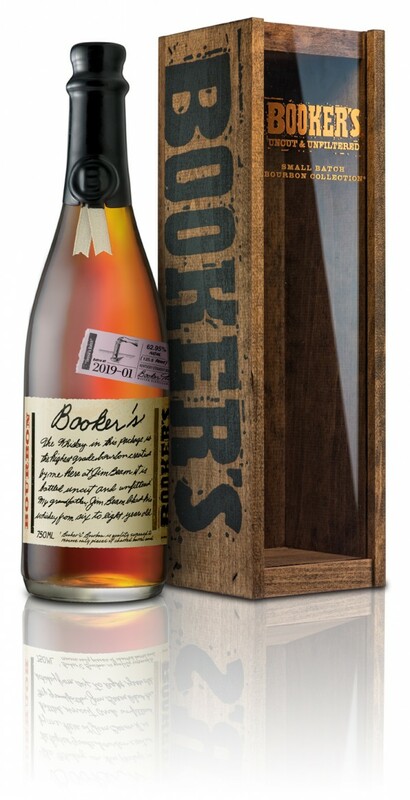 Booker’s “Teresa’s Batch” features a sweet nose with hints of brown sugar and light oak, along with the vanilla that is signature of Booker’s Bourbon, the release says. The finish is pleasant and warm while also sweet and spicy.